Seen any of your favourites in the photos? 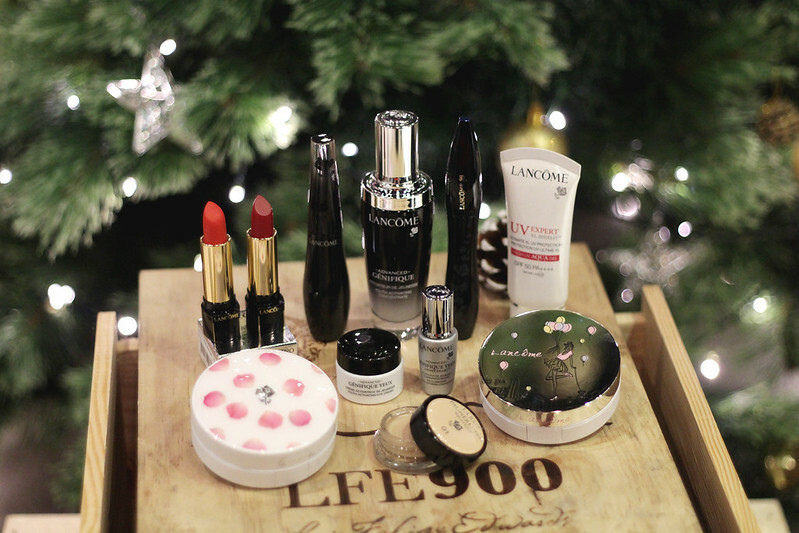 In this post, I will be featuring some my favourites from Lancôme this season to prep for the festivities ahead like Chinese New Year and Valentine's Day! My Génifique Youth Activating Concentrate has gotten an upgrade to 100ml (as I finished using the 50ml bottle)! Introducing one of my must-use serum that repairs and activates the skin from within. The result of incorporating this serum into my skincare regime is being able to achieve a brightly lit skin due to a more even skin tone and refined texture that allows for better light reflection and refraction just within two weeks of usage. I also use the Génifique Light Pearl Eye Illuminator serum. It improves the skin texture around the contour of my eyes so its smoother and more luminous which helps when I apply the concealer - my makeup glides on perfectly and the dark sunken area under my eyes are not as pronounced as it used to be. My favourites in a flatlay! Spot my L'Absolu Rouge lippies which I featured on my snapchat (@thevgygirl) previously! I love how my lips become moist and fuller looking with the beautiful coral and red tones. You will be surprised at how pigmented these deep coral and red tones are! 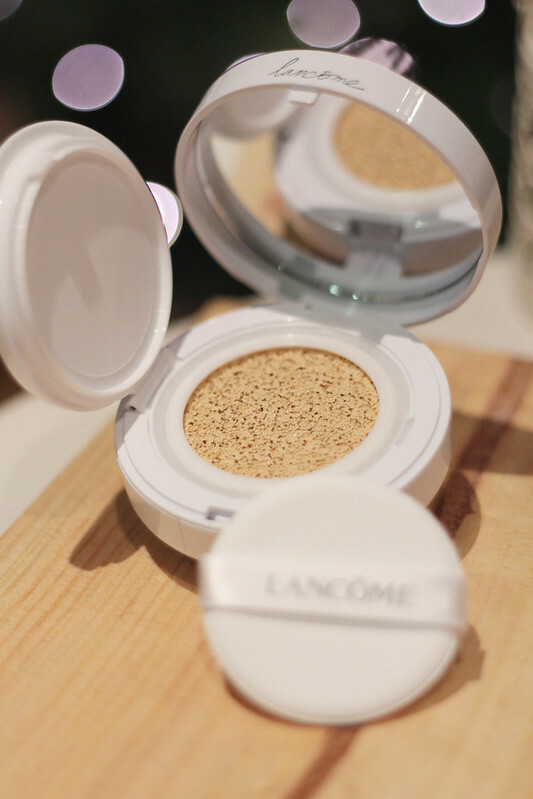 One thing I love about Cushion Foundation is the ten seconds to perfection mantra. 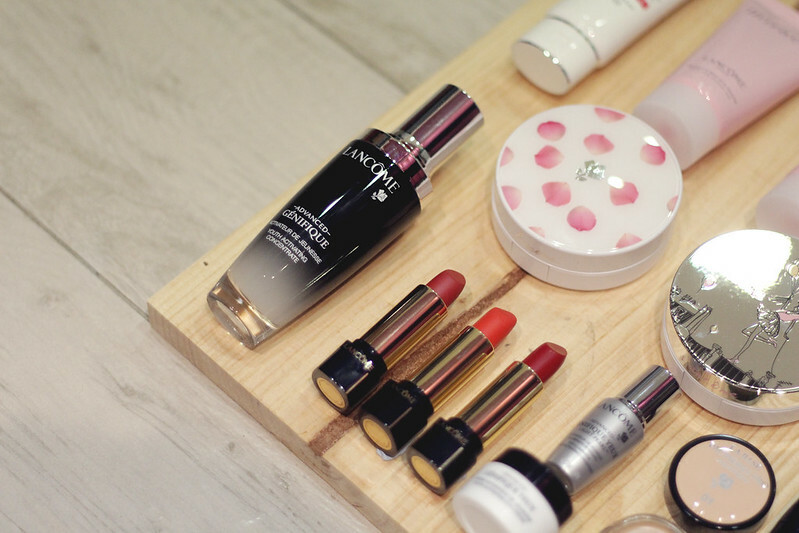 Do you know how fast and fuss-free it is to apply makeup using a cushion? The formula contains depigmenting properties which leaves the complexion radiant and illuminated. It is also ideal for reducing pores and surface imperfections while leaving skin visibly even. With its anti-wrinkle properties, it actually gives your skin a well-rested look too - now you know why it's my favourite! 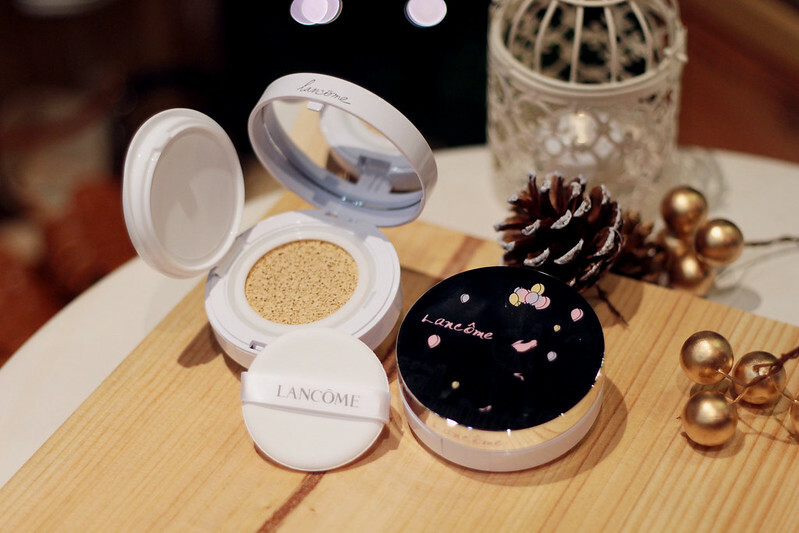 I usually go with just a single layer but you like more coverage, this cushion foundation actually lets you build the coverage. Nonetheless, the single layer gives me very healthy looking and breathtakingly radiant skin which always gets me compliments even on the streets! Go try it yourself (see more about trying it yourself at the end of the post)! Lastly, I can't do with a foundation without SPF so it is a bonus this comes with SPF 23/PA+++ to protect my complexion from UVA and UVB and to prevent formation of age spots. This is getting real with my age hitting the high 20s, gulp. So prevention is always better because cure...is gonna' be helluva expensive and difficult to eradicate. Psst, I am using shade P-01 by the way! There are a total of 8 shades so I'm sure you can definitely find something very close to your skin for the natural look! And...did the unique Petal and Spring cushion cases catch your attention!? They are limited edition pieces and will be given to you with compliments from Lancome with the purchase of two refill packs. Last but not least, something which I have featured before on my Instagram (@vaingloriousyou) - the Miracle EDP range! This is the scent that I always fall back on when I get tired on all the other perfumes on my vanity table. 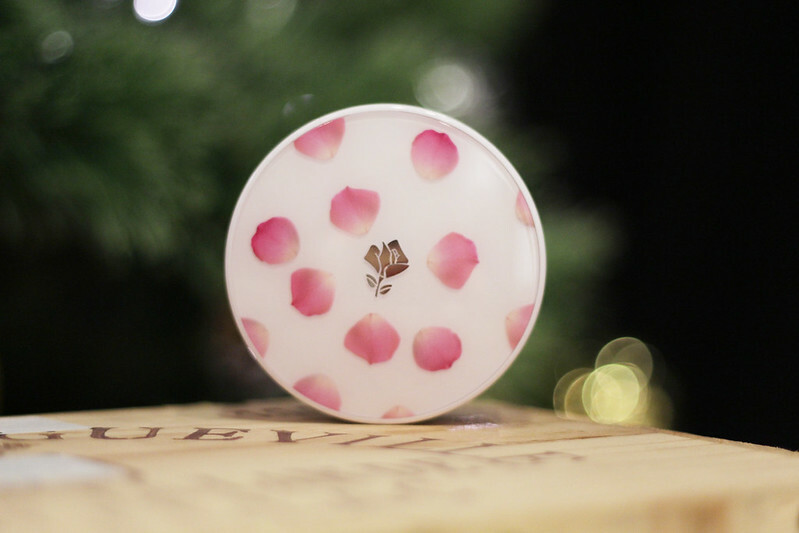 The scent is really special to me and it is hard to explain - I would call it a really fresh fragrance that is not overly sweet nor overpowering. Perhaps it is because I have good memories with this scent and it always gives me comfort and warmth. Now for the exciting part! Want to try all these products that I own? You can head on down to the store to experience the Best of Lancôme service starting with a 2 min aura skincare service awakening your skin with Génifique Serum and Light Pearl. You will be able to create your perfect complexion using your choice of foundation then enhance the look with a bold lip using L'Absolu Rouge Definition Lipstick. 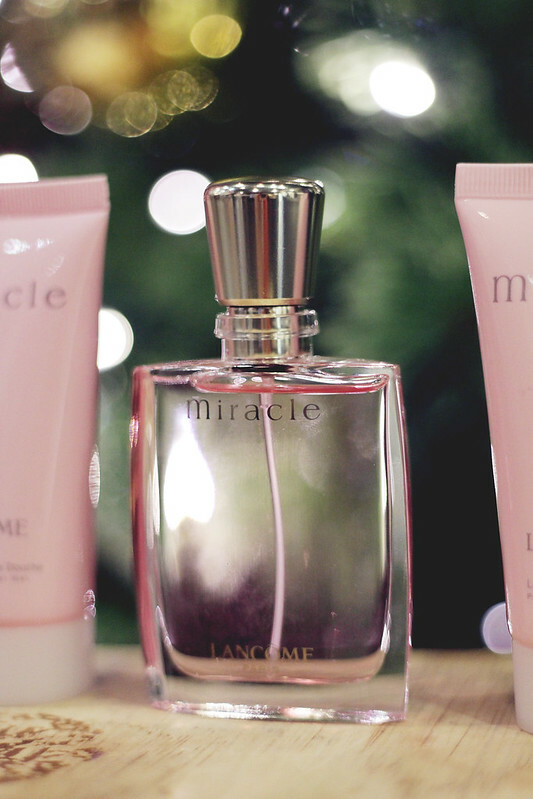 Lastly, you can finish off with a spritz of my favourite Lancôme Miracle Fragrance and walk away with a Personalised Sample Kit! For more information on the products or the complimentary services, give https://goo.gl/bxlpEJ a lookup! 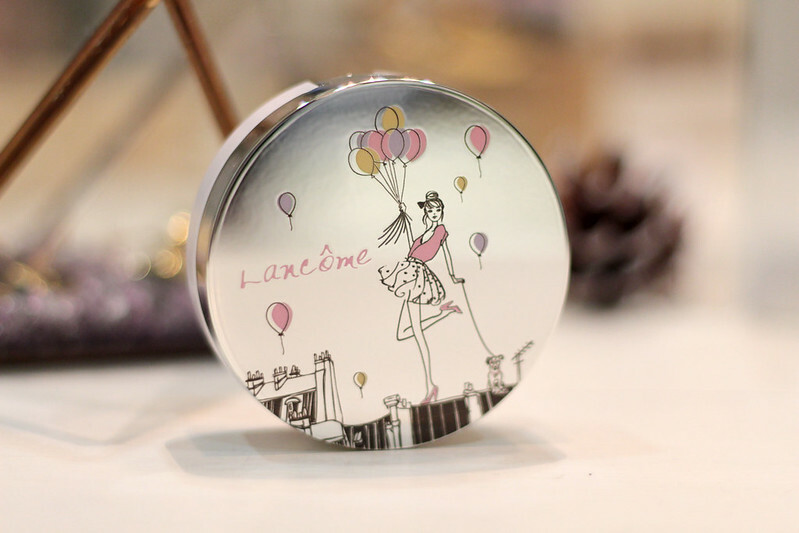 Adding on to that, you can lay your hands on these products at all Lancome counters, while stock last.